Faith matters | Life in a fast, furious, fugacious lane! The idea of a messiah or savior or redeemer is common to all religious schools of thought, including Islam, Hinduism, Buddhism, Judaism and Christianity. In the Islamic context, the concept of messianism, which is the belief in a messiah, revolves around an eschatological figure who is expected to rise and fill the earth will peace, justice and social order. Awaiting is primarily the result of two main conditions: not satisfied with the status quo and expecting things to change for good. But, merely being disgruntled with the status quo is not sufficient. A person has to step out of his comfort zone and prepare the ground for visible and productive change to happen. In more precise terms, he has to participate in the process of change. In the words of British historian Eric Hosbawm, the concept of messianism, which we call Mahdism, can be broadly divided into two categories: passive and active. In the passive Mahdism, people immerse themselves in prayers and hope for the savior’s early reappearance. In the active or revolutionary Mahdism, people run the gauntlet and participate in the process of change. In today’s era – with the moral bankruptcy, endemic corruption, grinding poverty, and scourge of illiteracy, ignorance, misrule and barbarism reaching the climax – what should a waiter wait for? What are the responsibilities of a person waiting for the change to happen? There is a clear instruction in Holy Quran for believers waiting for the change. “And say to those who do not believe that you act as much as you can. We are also trying. You all wait and surely we all are waiting.” (Quran 11:121-122). We are witnessing social, political and cultural upheaval across the world today. Morals and ethics have degraded alarmingly. Grinding poverty has resulted in the poor quality of life. Illiteracy and educational backwardness has sent us back to dark ages. The forces of imperialism have become menacingly stronger than ever. Human rights abuses have become frighteningly rampant. Weak and voiceless continue to be oppressed and subjugated by mighty and powerful. Allah (swt) says in Holy Quran, “O’ Muhammad (pbuh), you are but a warner, and for every community, there exists a guide.” (Quran 13:7). There will always be a divinely gifted guide for people in every age and every time. For us, the people of this age, it is the Mehdi (ajtf). Looking at the state of affairs today, the discourse around the reappearance of Imam Mehdi (as) and the responsibility of setting the ground for his reappearance has assumed huge significance. With the world sinking into the abyss of darkness and people across the world grappling with myriad self-inflicted woes, the responsibility on our shoulders has increased. Imam’s occultation, however, does not mean he has abandoned us or that we must despair about the present state of affairs. 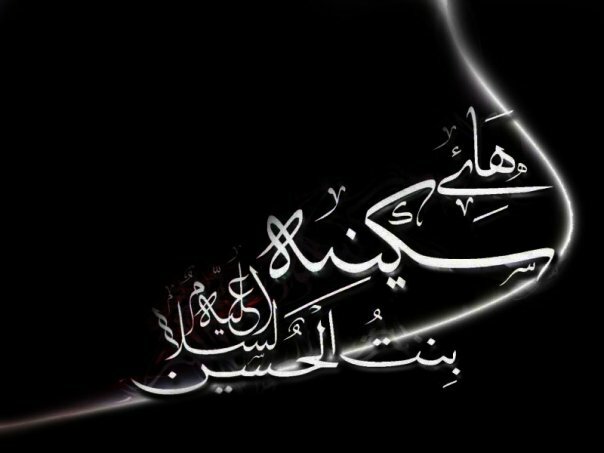 Imam Ali (as) said: “Await for the reappearance (of Imam) and do not despair of the divine mercy. Because the best deed in the eyes of Allah, the great and the mighty, is to wait for the reappearance (of Imam). It is the duty of those who are believers.” (Al Khisaal, vol2, Pg616). What are our responsibilities as believers to prepare the ground for Imam’s reappearance? A tradition attributed to Imam Hasan Askari (as) exhorts people to remain vigilant and participate in the process of educational change. “Be aware, if somebody teaches ignorant, guides a misguided, instills the teachings of Ahlulbayt (as), then on the day of Qiyamat (judgment day), he will be with us. We will give him a seat next to us wherever we may be.” Hence, it is amply clear that during this period of Imam’s occultation, among the biggest responsibilities on our shoulders is to bring about educational reformation in our society. It’s important to enjoin others to pursue good deeds (amr bil maaruf) and advocate against sinful practices (nahi anil munkar). Spreading awareness about the sinister plots and conspiracies being hatched by the enemies of Islam is another big responsibility. We must promote and propagate the divine message of Islam and develop scientific temper in our youth through education and reformation. The practice of writing ariza must be encouraged so that the youngsters become more aware of their duties and responsibilities. We must strive to expose the corrupt rulers and extend helping hand towards poor and needy in our society. We must constantly try to polish our morals and ethics to be able to join Imam’s army. Above all, we must raise our voice – individually and collectively – against corruption, injustice, terrorism, crime, immorality and other such menaces. What is important is the right strategy and approach to pave the ground for educational awakening and social reformation. Grooming children from the elementary level, making them understand the purpose of existence and their responsibilities, explaining how Islam is not just a religion but a complete way of life, stressing on the need to analyze with a free mind, the need to inquire and argue fearlessly, the need to debate and discuss passionately, and the need to exchange ideas generously. The approach has to be thoughtful, progressive and result-oriented. It must ensure the gains of education are properly utilized to bring up children who are educated, informed, aware and enlightened. Considering that we are impatiently waiting for someone who is a righteous and virtuous messiah, it’s important that we familiarize ourselves with the ideals of deliverance and act on them in letter and spirit. To prepare the ground for his reappearance, we have to develop a reformist spirit in ourselves and others so that the society undergoes change. To protect society from social infirmities, ethical degeneration, cultural disorder, misrule and anarchy, it’s important to educate ourselves and others around us. If we remain trapped in the vortex of ignorance; social anomalies, cultural dilemmas, and orthodox beliefs will continue to hinder our personal growth and that of the society. As Allah (swt) says in Holy Quran, “You are the best nation brought forth for mankind. You enjoin what is right and forbid what is wrong and believe in Allah” (Quran 3:110). The seeds of the promised rule of Mehdi (as) shall soon sprout and our agonizing wait shall end. Whenever talk veers to Karbala, we are reminded of the tales of unflinching loyalty, unrivaled steadfastness and the exalted sacrifices. We are reminded of the sweltering heat, blazing desert and the intense thirst. We are reminded of the shifting sand dunes smeared with blood. We are reminded of the helpless father carrying his infant son to the battlefield. We are reminded of the brave young warrior crashing on the ground. We are reminded of the 13 year old orphan, whose small frame was reduced to pieces. We are reminded of the prostrate figure lying lifeless on the banks of Euphrates. We are reminded of two tender souls fighting like veteran combatants. We are reminded of the grief-stricken lady who saw her kith and kin being mowed down in cold blood. We are reminded of the ailing man wedged in heavy iron chains. We are reminded of a little girl clutching onto her dry water bag, crying and wailing inconsolably. The tender soul watched in absolute horror as every male member of her family left for battlefield, never to come back. She watched in utter helplessness and dismay as Yazid’s large battalion of hoodlums pillaged the tents and ripped the earrings out of her ears. Her ears bled profusely and tears yelled from her eyes. She was not used to sleeping alone, but now there was no one left to tell her fairy tales and put her to sleep. She wandered around in the darkness of night to look for her father. Husain was lying lifeless in the pools of blood. Sakeena managed to find him, she hugged him tightly and slept. Zainab was worried for her brother’s beloved daughter. She came out to look for Sakeena, and found her asleep over the corpse of her father. Bibi Sakeena (sa) shared a close bond with her uncle (Ammu) – Alamdar e Karbala Jenab Abbas (as). Abbas could not see the tears in Sakeena’s eyes. He could not see her in pain. But, Abbas was no more, and now, Sakeena’s feeble shoulders had to bear the brunt of heavy metal chains. She had sent her uncle to Euphrates to fetch some water for the inconsolable and thirsty children in tents. Abbas could not keep his promise, for the first and last time. Sakeena cried loudly. Her shrieks were deafening. She did not crave for water. She just wanted her uncle back. Bibi Sakeena(sa) suffered from terrible fatigue and thirst on the forced march to Damascus, and later from cold and starvation in Yazid’s dark dungeon. She cried silently and inconsolably. But, the suffering and thirst of other children in caravan made her forget her own misery. She consoled her mother when the corpse of Ali Asghar(as) – her 6-month old brother – was brought back to tent, even as she struggled to hold back her own tears. On seeing any lady or child weeping, she would innocently put her little arms around them and pacify them. Bibi, your tale of helplessness, patience and chivalry will continue to inspire us forever. May Allah bless everyone with a daughter like you. Aameen!